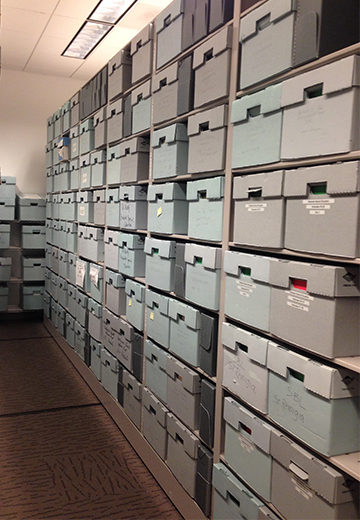 For years, archivists have carefully preserved history on the Districts and Region in what is now the Lasallian Region of North America (RELAN). The past few months have brought location changes for some of those archives. As of September 1, 2014, archives for Christian Brothers Conference and the Midwest District are now housed at Manhattan College in Riverdale, New York, after a move from Christian Brothers University in Memphis, Tennessee. 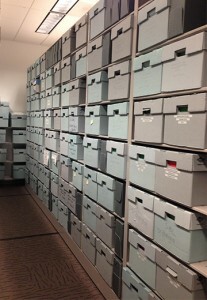 Archivist Amy Surak now manages both collections in addition to the archives for Manhattan College and the former Districts of Long Island-New England and New York. Surak collaborates with Brother Joseph Grabenstein, FSC, on archives for the District of Eastern North America housed at La Salle University in Philadelphia. Brother Joe also manages archives for La Salle and the former Baltimore District. In another change, with the formation of the District of San Francisco New Orleans (SFNO), archives for the former District of New Orleans-Santa Fe (NO-SF), along with archivist Brother Emmet Sinitiere, FSC, moved to Mont La Salle in Napa, California, in May 2014. Brother Emmet continues to manage the collection for the former NO-SF District, while Andrea Miller is archivist for the former District of San Francisco as well as the new SFNO District.